- Monitoring capability. See where your pets are with our sophisticated mapping system that automatically sends smart alerts whenever they crossed out of a pre-selected fenced area. - Mobile tracking. Aside from accessing Trackimo’s location from your PC, users can track their device and manage all activity in real time using an Android or iOS phone. - Compactibility. Lightweight and compact, the Trackimo GPS Pet Tracker can be perfectly fitted onto the pet's collar or harness. Its sleek design and light weight ensures everyday tracking without the worry. - Ensuring safety. Trackimo GPS Pet Tracker has an SOS button that, when pressed, triggers an alert that broadcasts the exact location of an emergency or your pet. Finders of your pet can quickly and easily press the SOS button and you will get the alert instantly. - Providing peace of mind. 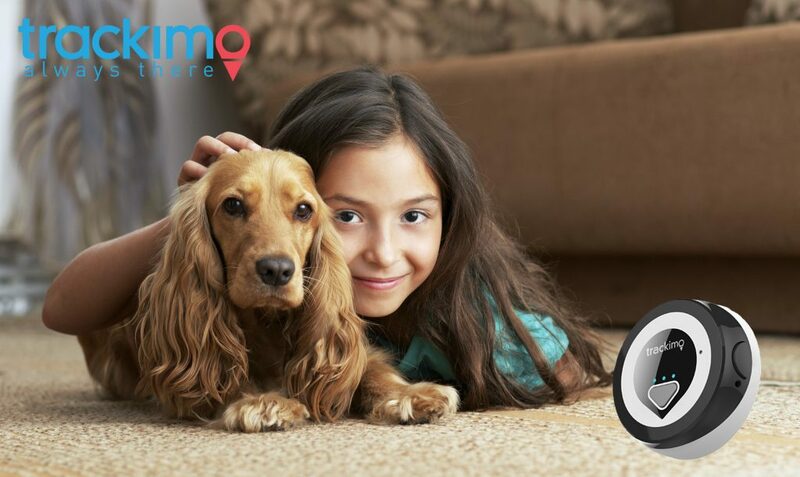 Trackimo GPS Pet Tracker gives you confidence knowing that you can ensure the safety of your precious pet at a single touch of a button. - Easy to Attach. Trackimo GPS Pet Tracker is designed to be easily adjusted to your pet's collar or harness. Prevent stress and sadness, when pet's gone missing.